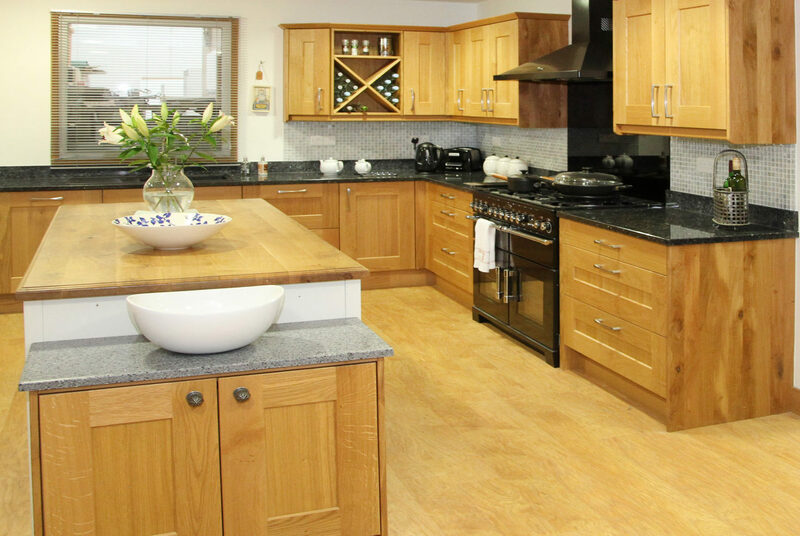 We offer an extensive range of traditional, contemporary and modern kitchens all of which are manufactured in- house. So, let us help you design a functional and stunning kitchen. We design and manufacture individual kitchens to suit all budgets with attention to detail being key. When choosing your new kitchen, one of our designers will guide you through the different stages in a relaxed and professional manner. Our skilled team manufacture your kitchen in our workshop which, allows us the flexibility to transform the living spaces within your home to meet your specific dimensions, style and budget – no matter how large or small. Our kitchens are made within our workshop where you are more than welcome to walk around when visiting. We offer a colour palatte of 34 traditional, modern and up-to date colours. However, as we have our own painting facilities, it is not costly to choose “the colour of your choice”. We are totally flexible in how we like to work. We provide a full installation service with our employed, in-house joiners, fitters and plumbers. This ensures a seamless service from start to finish. We will also co-ordinate all other trades such as builders, electricians, painters and decorators.